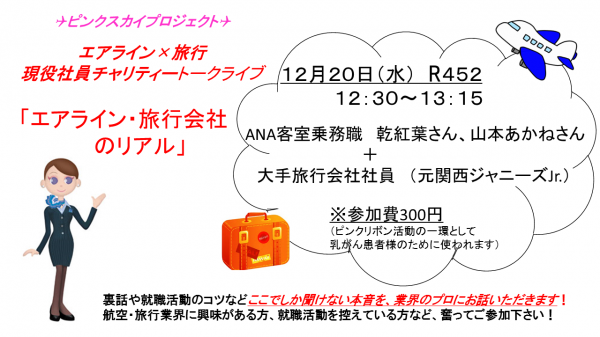 2017/12/19 16:10:00 ピンクスカイプロジェクト「エアライン×旅行」トークライブ 明日開催！/"Airline and Travel" Special Talk Live Tomorrow! Pink Sky Project is going to have a Pink Ribbon charity event tomorrow. If you are interested in the aviation or travel industry, please join us! Title: "Sharing what they really think about the jobs"